summer media arts program - Gaby D.
Today was our last day :(. My group and I worked on our animations for the stop motion and then edited it. The final product was so cool!! When we created the stop motion, we had to first get the characters in place, then take a picture, then move the characters again, continuing this process. Our stop motion was about 10 seconds long. I learned that it takes a lot of teamwork and communicating in order to create it. We all had to talk to each other about a story line, and then each of us needed to create something like a character or background. After that, we had to work together to place the characters and take the pictures. It was a really fun experience! I'm really glad I came to this class because I learned a lot about 3d printing and the process. My favorite part of this class was creating the stop motion with my group because it was a lot of fun! Today was our third day and we started our final project. In our groups of 3-4, we have to create a stop motion that tells a story. My group's story is about a fat cat and a dog. The fat cat sees the dog running towards him and decides to run up the near by tree. The thing is, the cat is too fat, so he doesn't get up the tree. The cat prepares for the dog attacking him, only to be licked. The dog just wanted to become friends with the cat. At the end, they become friends and meet up at the park a lot. In the stop motion, your characters should be 3d printed and the backgrounds should be created on adobe photo shop and then printed. Today was our second day and we first started off by finishing our blogs from yesterday and watched our logos 3d print. Mine hasn't 3d printed yet, but it was really cool to watch the other logos. We then had to create a keychain based on our school's name or logo. I got to choose between the Nichols Lions or Haven North Stars. I chose the Haven North Stars. 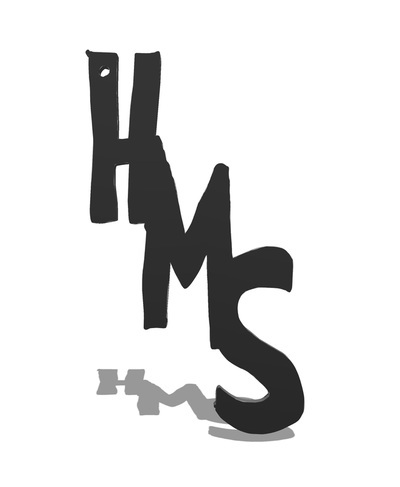 My design were the letters H, M, S (Haven middle school), going down diagonally.